To help you along, we pulled together a few of the best posts we saw on the web last month. We hope this quick summary will give you some great inspiration, and maybe even help you uncover someone new to follow! Airbnb confirmed its intent to acquire HotelTonight. "Working with the incredible team at HotelTonight, we will offer guests an unparalleled last-minute travel experience that provides unique, memorable hospitality on every trip, on any schedule, at any time." One benefit of this merger, as they state, it will allow them to offer more boutique hotel options. To read the full details, click here. 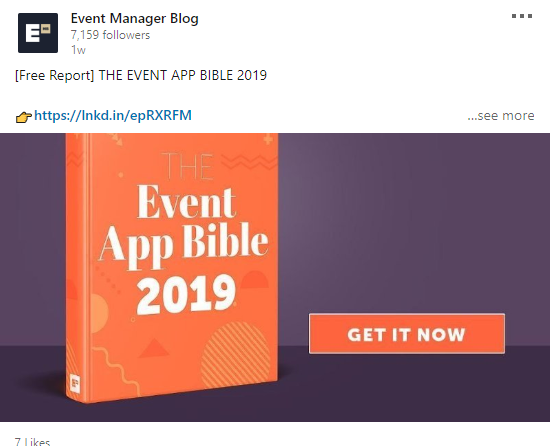 This year there's a big focus on the event app market overall, including event tech trends. Check out pages 31-32 to see our very own Joe Schwinger discuss trends and tips! Real talk: Event planning is stressful. How do you decompress? 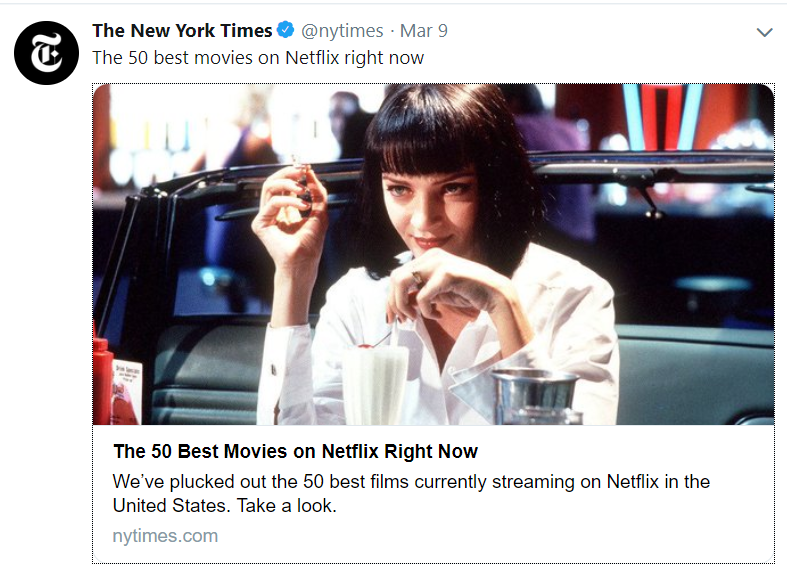 If getting cozy on the couch perhaps with a glass of wine to watch movies is your go-to, then you've got to check out this list. There was a great #expochat on April 3rd around the theme of event sponsorships, specifically, how to shake up the transitional opportunities in favor of better engagement with and for sponsors. There were some great and low cost suggestions and you can catch up with the transcript here. Liz Johnson from Glee Content moderated and shared this great read. Check it out here. "Go to the shows that aren't just in your comfort zone and aren't directly tied to the events industry. That will help you pull different ideas in and think differently about your events." 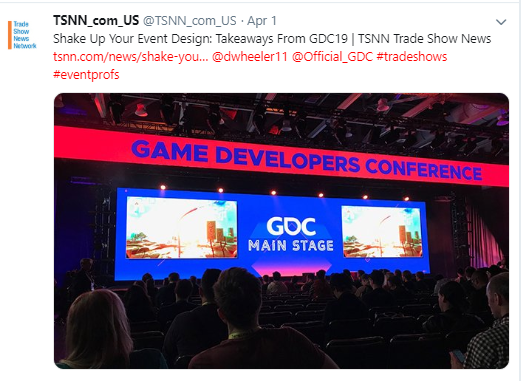 That's why we loved reading (and are sharing) this post from TSNN about the Game Developers Conference. Our favorite takeaway was around how they handled speakers - moving away from the traditional keynote in favor or more interactive sessions. This was another insight that Will shared with us - you really ought to take a look at his post here.